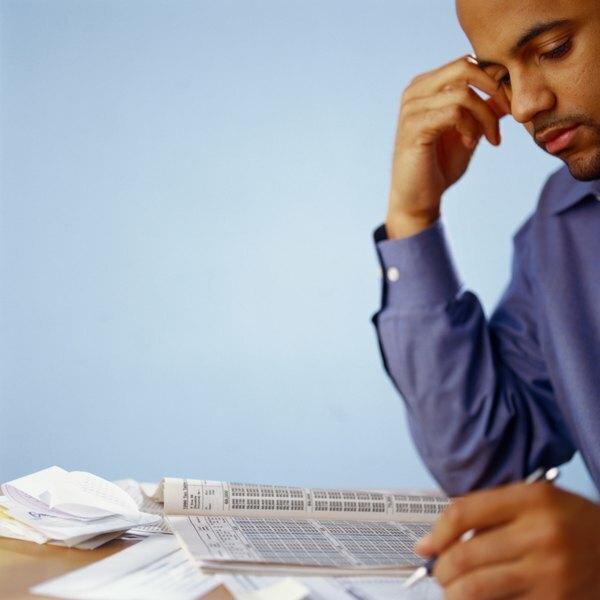 Analyzing your completed tax return can provide a great deal of information. Saving money on your income taxes can take many forms, but knowing whether you've paid a fair rate is difficult. Even if you hire a professional tax preparer, you can evaluate your income taxes to assess your tax strategy and to determine areas where you can save money next year. Including all of your income and deductions in assessing your income taxes is essential to come to an accurate understanding. Gather your tax forms and check to ensure that the information included on your statements appears on your completed return. Many tax forms include multiple pieces of information; some of these increase your tax liability while others reduce how much you owe. If you itemize your deductions, double check to ensure that every deduction appears on your tax return. If any are missing, you might have paid too much. Every taxpayer pays income tax at several different tax rates. Divide your income tax before prepayments by your taxable income to find your average tax rate. Next, calculate your effective tax rate by dividing the income tax you paid for the year by your net income. Compare your tax rates to last year's rates to determine whether your tax liability has risen or decreased. Taxes on investment income are usually higher than your average tax rate. However, when you claim capital losses to offset investment gains, you can keep the effective tax rate on your investments low. Compare your investment income tax rate to prior years to determine whether this could be an area where you could save on taxes in the future. While evaluating, double check to make sure that all investment expenses, including brokerage fees, have been deducted from your investment income; these costs reduce your tax liability, but only when you remember to claim them. Saving for retirement impacts your income taxes, and you can find out how much while evaluating your taxes. Check your W-2 form to see how much of your earnings you contributed to a retirement savings plan, pretax. Check the statutory tax rate you paid and compare it to the statutory tax rate you would have paid had you received your retirement contributions as regular income. If you could have contributed more, check what the statutory rate would have been. This will help you determine how much to contribute from each paycheck in the coming year to maximize the tax savings that retirement savings plans offer. Can Taking the Standard Deduction Help to Avoid the Alternative Minimum Tax? What Is the Difference Between Gross Income & Adjusted Gross Income?